Living in a university hostel is a very special kind of experience. Which is not surprising considering that you're living together with tons of people that does not share the same culture as you. And by saying a special kind of experience, i'm referring to situations where you'll encounter things that you've rarely seen before or things that you never expect to see in university. The hostel toilet for example, is a great place to experience this kind of "strange" encounters. This picture was taken just recently from my block's toilet. As you can see, someone had decided to graciously leave his underwear on top of the urinal. How it got there is still a mystery that baffles me and some of my floor mates to this day. And it's not a case of forgotten underwear either. By the time i took the photo, it has been lying there for a few days already. 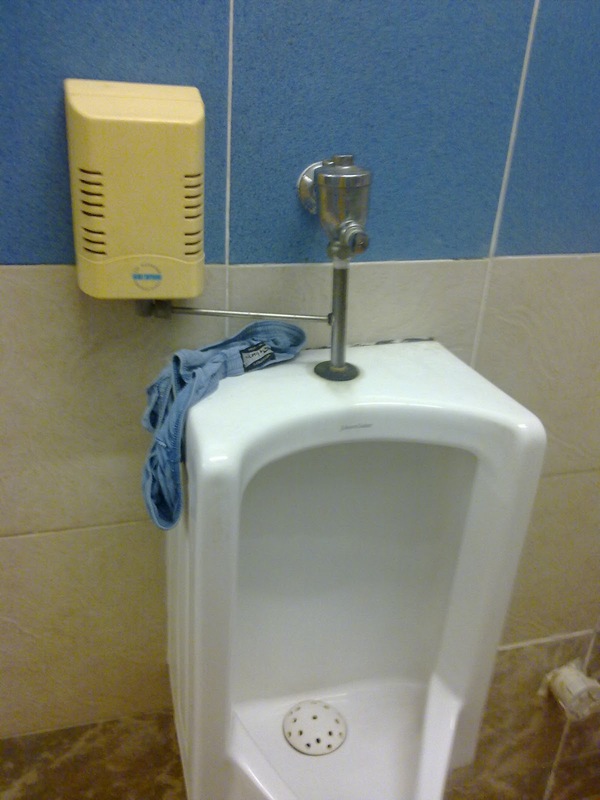 Apparently the owner is not very fond of his underwear, evident from his ignorance of his poor underwear lying up there pleading for someone to take notice. Of course, a case of forgotten underwear is not the only eye opening experience that you'll come to find in university toilets. There are also a wide variety of other events that you'll find in the toilets but often those are too shocking to be displayed in blogs. If you're lucky enough, you'll find cases of people trying to decorate the toilet in chocolate, if you understand what i'm meaning, and cases of people trying to get rid of stuff that are not supposed to be gotten rid of in toilets. Encounters that you'll never expect from university students at least, because of the so called "high level of education". Is it me, or did the education system failed at teaching knowledge that really mattered? Like civic mindedness in this case. What's the use of knowing how to build skyscrapers if you do not even know how to flush the toilet right? Don't you agree?